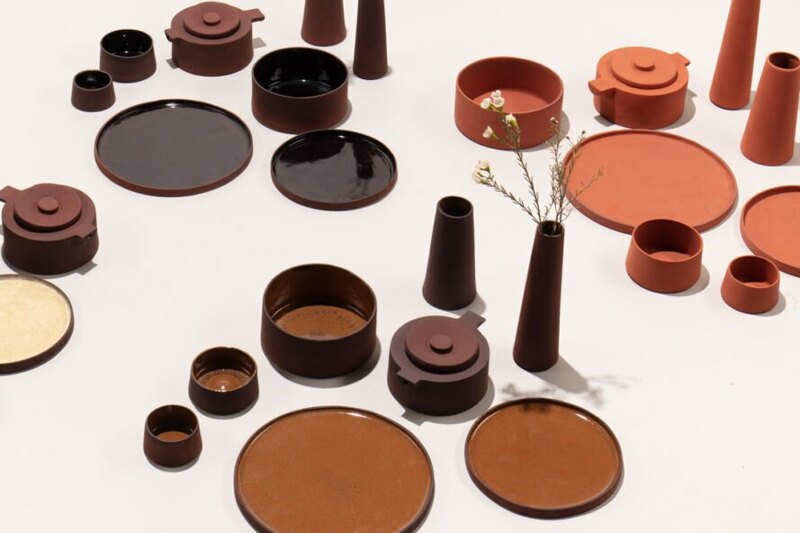 The red clay ceramics produced by the design team at Royal College of Art and Imperial College London may look like the creation of any standard potter. However, these are not your everyday bowls and teapots. 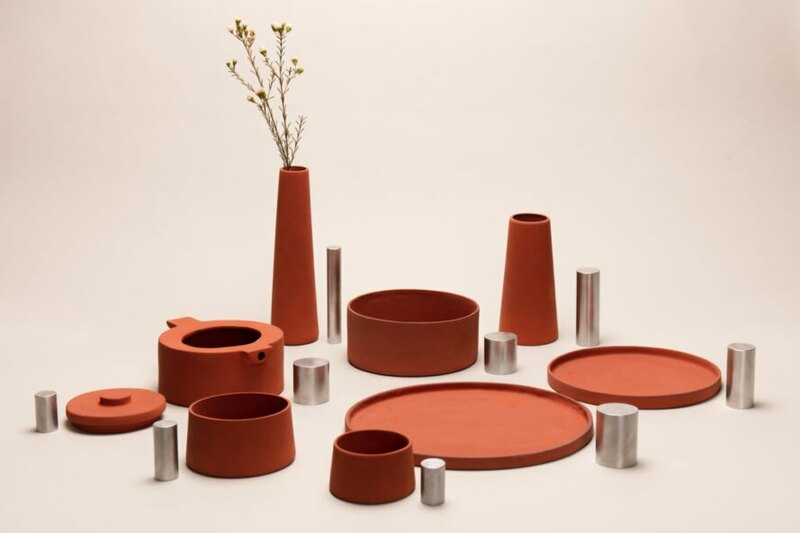 In fact, they are the result of a process that uses a by-product from aluminum production that transforms the so-called red mud into a raw material suitable for making kitchen wares. Bauxite residue is a by-product from the refining of alumina, which is a precursor to the process we know as aluminum production. It is not an insignificant by-product either. In fact the process creates bauxite residue at twice the rate of the amount of aluminum produced from it. Around the world, the watery red material is left behind in huge pools of abandoned waste so the team of scientists and designers decided to find a way to make use of it. Designers Guillermo Whittembury, Joris Olde-Rikkert, Kevin Rouff, and Luis Paco Bockelmann were excited to dive into the potential of the otherwise neglected by-product, hoping they could find practical applications for it. To discover the potential of the discarded substance, the team paired up with material experts from Imperial College London and KU Leuven, scored some red mud from one of the oldest alumina production facility on the planet, and headed into R&D. 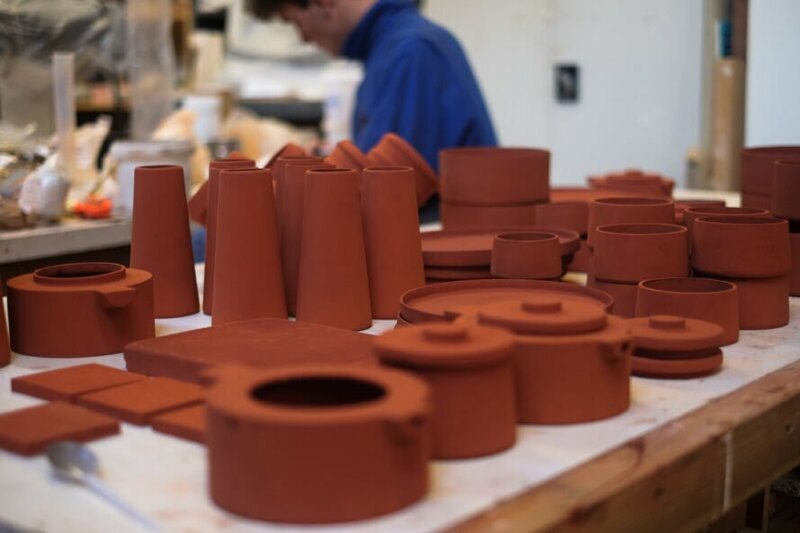 Through hundreds of tests and experiments they discovered a versatile ceramic as well as an alternative concrete. The R.E.D. (residue enabled design) project, also known as From Wasteland to Living Room, resulted in a vast array of cups, saucers, teapots, bowls, vases and a myriad of other design pieces. They also found that the fired color in the finished product produced a range of colors from a standard terracotta to a deep burgundy. To bring out more variety, the team used metal oxides from the residue to make glazes in a range of colors too. “The designers aim to make people at once aware of the impact of materials taken for granted, like aluminium, and to hint to the potential of their byproducts. “We want people to see that Red Mud isn’t a ‘waste’, that industry is keen to find uses for it, and that using it is possible,” states Kevin. This project is a small step towards what they believe as a more sustainable future in which “wastes” will be considered as valuable assets, and they hope it stimulates more uses of the material. The design team at Royal College of Art created R.E.D. from aluminum production waste. Bauxite residue is a by-product from the refining of alumina. The team of scientists and designers decided to find a way to make use of waste. Tests and experiments concluded that a versatile ceramic can be produced from the waste.